Receiving the Medal of Honor for valor in combat puts one in the hallowed company of but a few thousand individuals to ever grace the earth. But by the time you earn two Medals of Honor, you are one of 19 persons to have ever done so. Perhaps it is because the Medal of Honor is quite often awarded posthumously, but receiving two and living to talk about it is a rare feat in the world. Frank Baldwin would do just that in the 1800’s and live to become a General by World War 1. His first would come during the American Civil War in an era where men lined up in pretty neat rows and took turns shooting at each other. The next would be on the American frontier as the rapidly expanding America put itself in increasing conflict with the Native Americans pushed west. And while each conflict is the subject of intense historical debate, the gallantry of a man on either side when the bullets start to fly is often the least controversial part of it all. A native of Michigan, Frank Baldwin was born in Manchester Michigan in 1842. As fate would have it, he came of age just as America was embarking on a costly Civil War that few could have predicted would take the toll on the nation that it did. Over 600,000 would die in this conflict, but Frank Baldwin would not be one despite his conspicuous gallantry in the face of heavy enemy fire. He initially joined the US Volunteer Army as a 2nd Lieutenant for the Michigan Horse Guards in 1861 before eventually making his way to the 19th Michigan Volunteers in 1862. By early 1863, he would find himself fighting in Tennessee against the Confederate Army. In March, he would actually find himself a POW after being captured near Brentwood, TN by General Nathan Bedford Forrest’s Confederates. However, a prisoner exchange in August allowed him to return to the fight. Fighting his way with the Union Army through Chattanooga, he would eventually find himself under the command of General William Tecumseh Sherman during his infamous march to Atlanta. 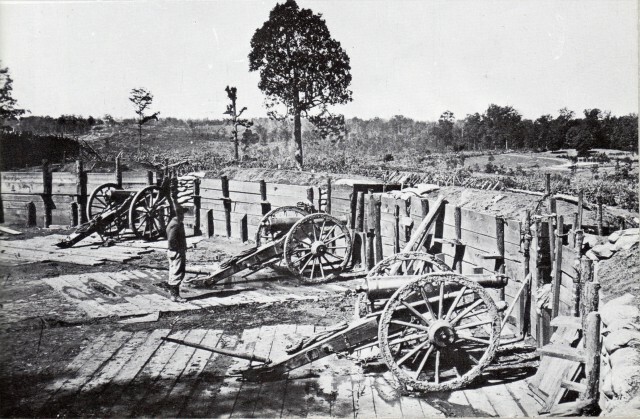 At Peachtree Creek, Georgia on July 12th, 1864 his actions as a Captain with Company D 19th Michigan Infantry would earn him his first Medal of Honor. When his unit came under an intense Confederate attack, Captain Baldwin led a countercharge that would find him well ahead of his men. It is reported in this citation that he singly entered the enemy’s lines due to being so far ahead and when it was all said and done, he brought back two fully armed Confederate officers as well as the guidon of a Georgia regiment as if just to rub it in that the Confederates could not stop him. He was awarded the Medal of Honor for his actions at Peachtree Creek. As the war ended, he returned to Detroit and was discharged as a Captain on June 10th, 1865. Like most good things in life, why to have one when you can have two seemed to be the mantra of Frank Baldwin. After the war, he was commissioned in the 19th United States Infantry in 1866 and served in a variety of duty stations that took him everywhere from being a quartermaster to recruiting duty over the next eight years. In 1874, he was assigned to join the Indian Territory expedition under the leadership of General Nelson A. Miles of the Fifth Infantry. Setting out from Fort Dodge, Kansas, he participated in the campaigns against the warriors of the Cheyenne, Kiowa, Arapahoe, and Comanche, who were resisting American westward expansion. On November 8th, 1874 Baldwin’s unit was called into action when a group of hostile Native Americans had captured two local American women. Rather than wait for reinforcements as one might think given the numerically superior Native American force, Baldwin led a charge with just two companies. The attack was a success as it prevented the enemy from escaping and killing the captives. For his actions that day at McClellan’s Creek, Texas, Frank Baldwin would receive his 2nd Medal of Honor. 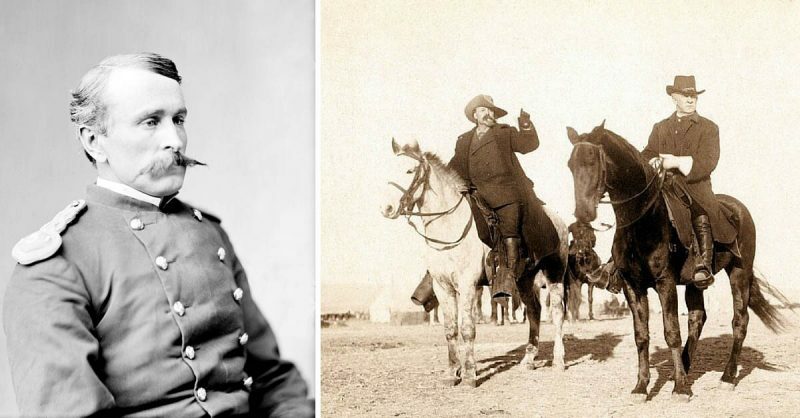 He would go on to serve in a variety of campaigns against the Indian forces over the next 15 years to include engagements against the famed Native American Chief Sitting Bull. 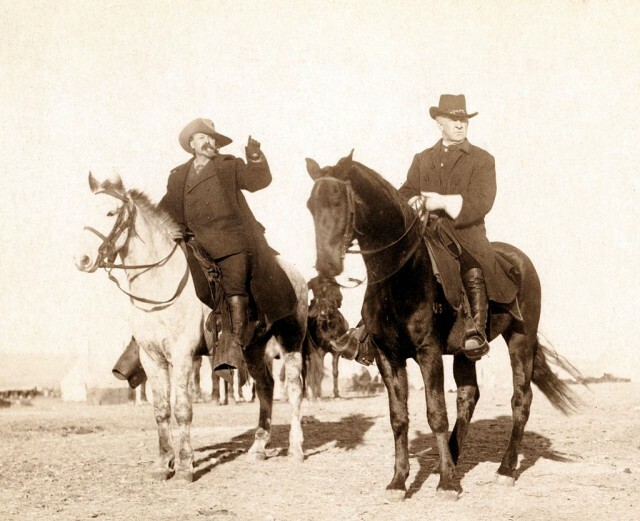 His service would take him from Texas to Yellowstone before eventually being transferred to the Philippines for service during the Spanish-American War where for the first campaign against an enemy in his life, he didn’t receive a Medal of Honor. By 1906, Baldwin had earned the rank of General before being retired from active service after over 40 years of service. He would otherwise live a quiet retirement before being called upon by his now home state of Colorado. He would later be recalled to service as a Major General for the Colorado National Guard during World War 1. While he didn’t deploy to Europe, the recall was more of an admiration for his extensive military experience and an earnest need for men of his character to mentor the next generation of warriors. Major General Frank Baldwin died in 1923 in Denver, Colorado. With over half of his life spent toward military service, his contribution to his nation stands tall. But when you consider he picked up two Medals of Honor along, history can’t help but take notice. A Medal of Honor serves as a bookmark in history for all to take notice regardless of what one might think about the nature of the conflict. For it tells us in modern times that a remarkable feat of human nature took place in the history of war.